Criticism from coaches can be a muddled message for some soccer players. Too often, the message from a coach gets lost in its delivery or emotion. 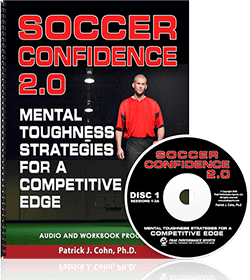 Loud or negative language can be internalized as an indictment on your abilities as a player. 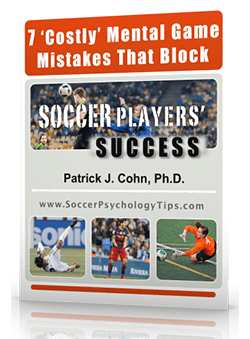 When coaches give negative criticism, especially if it is done so in an excessively loud manner, soccer players may miss the message and focus on the negative part of the message. 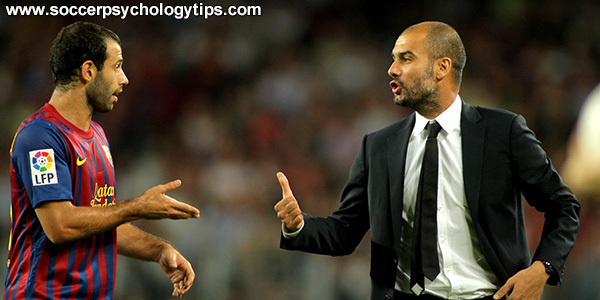 Let’s be real… Some soccer coaches are not the best communicators. In fact, some coaches aren’t even positive coaches. These coaches may think their message is a way to motivate and help you to improve your game but have no idea how to communicate that message effectively. It is difficult, at times, to not take harsh criticism and demeaning language personally. You can’t control the message from your coach or even how the message was presented, but you can learn how to sort through language and tone in order to extract something of value that can improve your game. This is not an easy task but is essential if you are to advance your game and maintain your passion for the game. The goal is to objectively wade through the message… throw away the trash or the negativity and harshness and look for the positive message (something that you can work on to improve your game). The goal is to not take the message personally and extract a beneficial tip that you can work on in practice. Instead of internalizing that comment, Hazard brushed off his coach’s comment and bounced back in the very next game scoring his 13th goal of the season and helping Chelsea win their semifinal match up against Spurs. It can be very difficult to not take coach’s comments personally. You can’t control what your coach says or how he says it but you can control how you respond to it. If yes, create a plan to improve that part of your game. Try not to take coach’s comments personally–as an attack on your person. If you can leave out the emotion of coach’s instruction, you can use the instruction as advice rather than negative judgments.